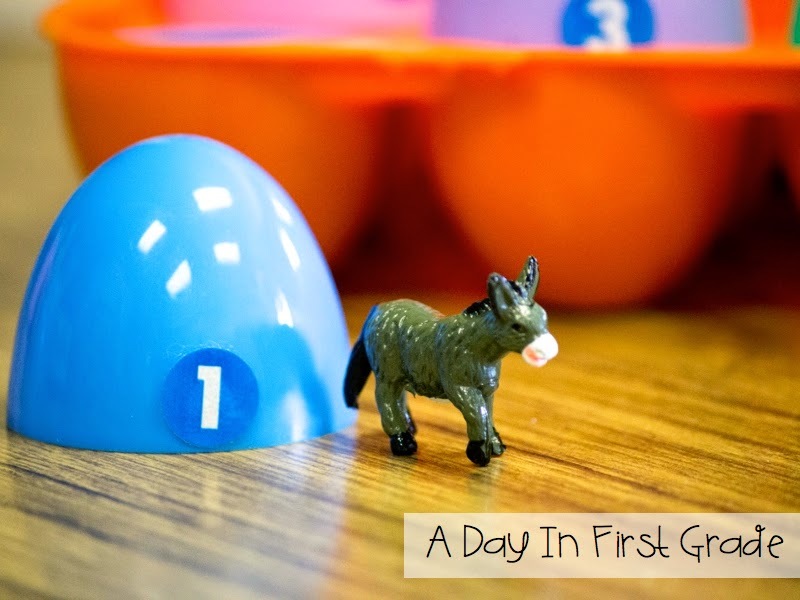 A Day in First Grade | Easter Activities and a GIVEAWAY!! Easter Activities and a GIVEAWAY!! Teaching the Easter story is such a humbling and exciting series of lessons while teaching at a Christian school. Every day, my class sits down eagerly to listen to our Bible story of the day and we have been getting closer and closer to the pinnacle of our faith for weeks now. 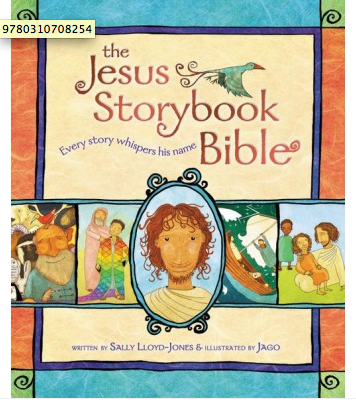 As an aside, I love using the Jesus Storybook Bible in my classroom because every story whispers Jesus’ name and my students just love it. It truly makes every story come to life for my students and I love that each story points to Christ. 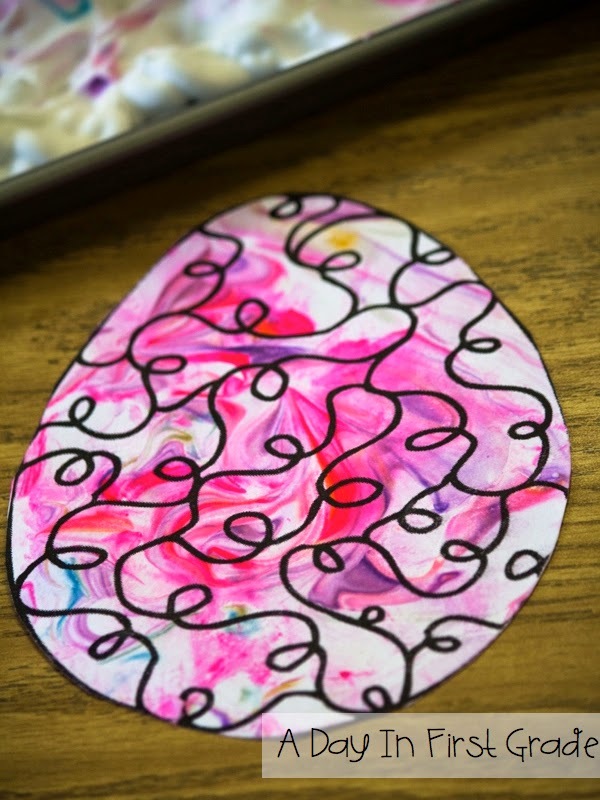 To help us celebrate Easter, we have completed a few crafts and activities that I know you and your children and students will love. First, have you heard of Resurrection Eggs? We are loving this! The way this works is that each day we open up an egg which reminds us of a part in Jesus’ last week. Inside each egg there is a special item to help us remember the order of events. We have a book that goes along with it called “Benjamin’s Box” and it retells the Biblical story in such a great way. 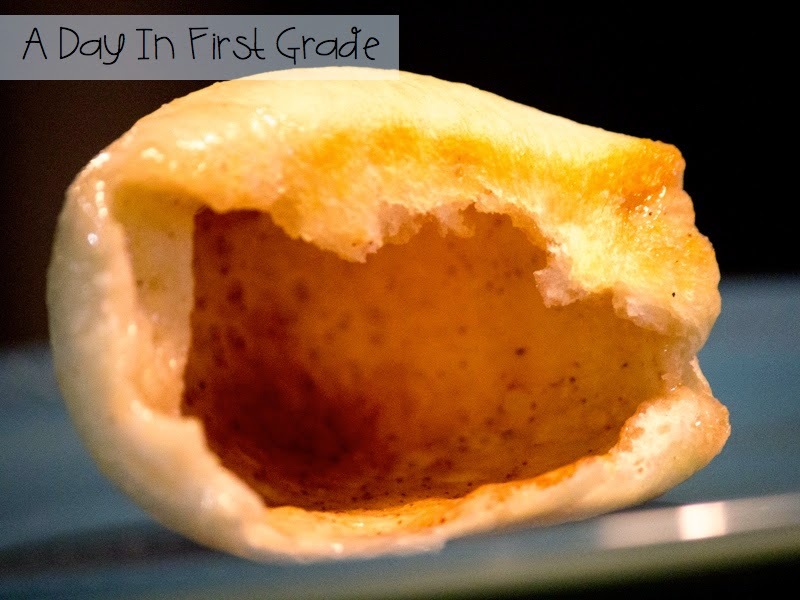 Each day we read a different page in the book and then my students have to guess what is inside the egg. After we have opened the egg of the day, we go through the rest of the eggs and retell the Easter story as a class. For example, the donkey is inside the first Easter egg. 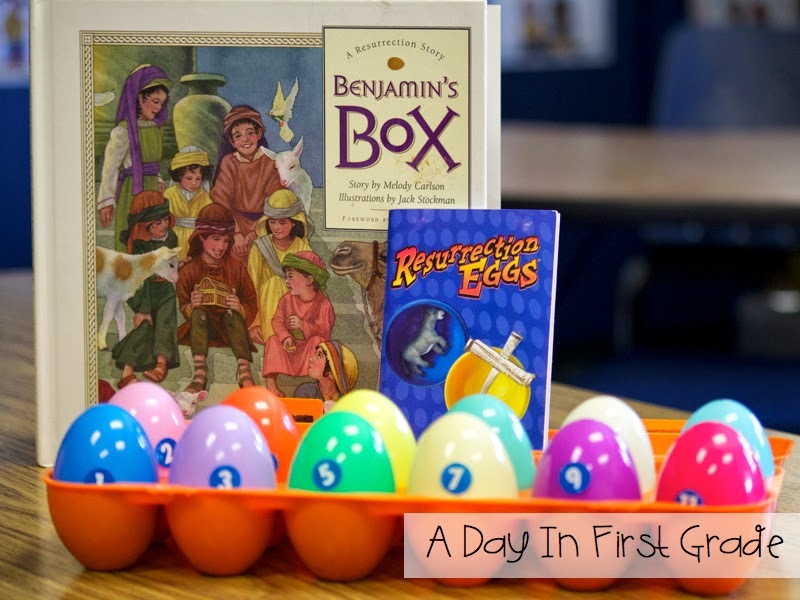 This is such an easy way to practice retelling the Easter story and my students LOVE it. The second graders at my school make their own Resurrection Eggs and take them home to tell their family the Easter story! Another activity that I LOVE is baking Resurrection Bread! 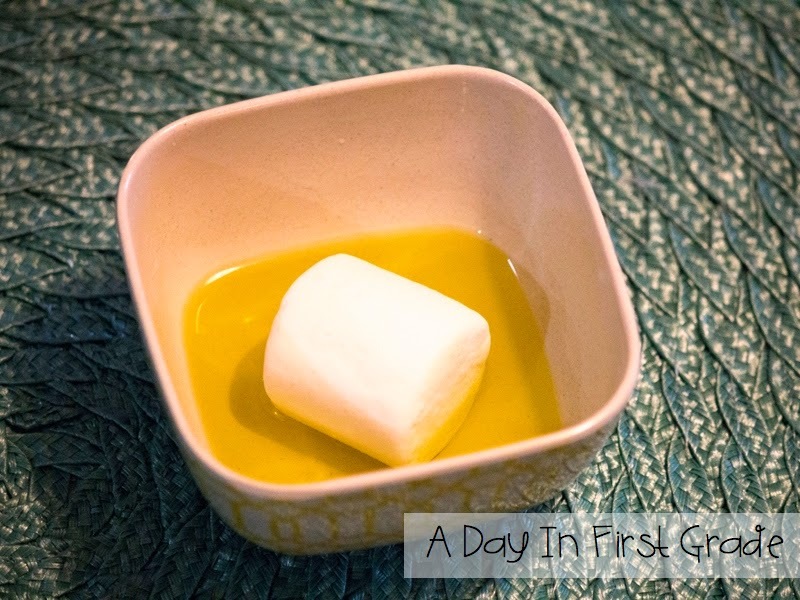 First, you take a large marshmallow (which in this edible object lesson represents Jesus) and you roll it in oil. I explain that when Jesus was laid in the tomb, he was anointed with oil. 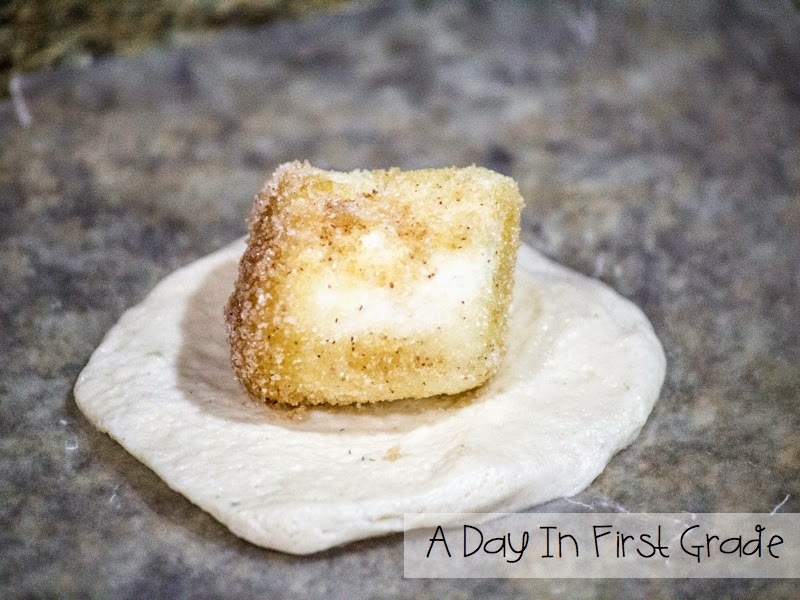 Next, you roll the marshmallow in cinnamon sugar. I explain that when they prepared Jesus’ body for burial, it was also wrapped in spices. 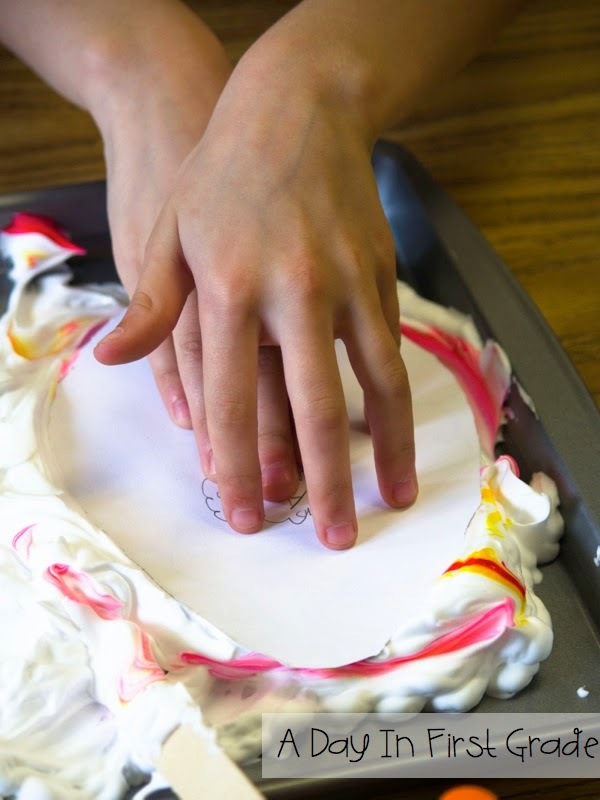 Then, place the marshmallow on top of an unrolled, raw biscuit or roll and wrap it up. In this part of the object lesson we are placing Jesus in the tomb. Make sure that you wrap it well– I show my kids how to pinch the bottom where all the pieces connect to make sure it is well sealed. 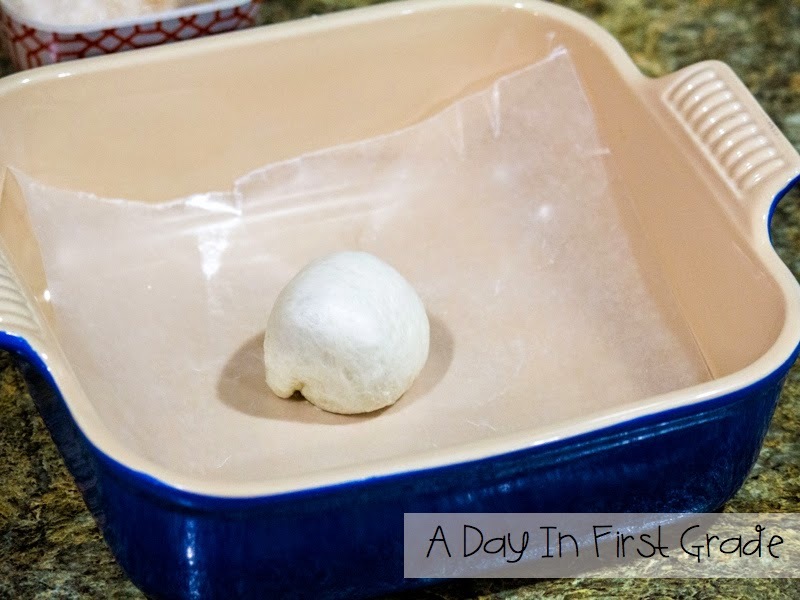 Last, place it on wax paper (adding non-stick spray is a great idea) and make sure it is the pinched side down. This is SUPER important!! Follow the baking instructions on the rolls. When it comes out of the oven, miraculously, the tomb is EMPTY! In class we talk about how three days later, Jesus was not in the tomb, that he had risen! 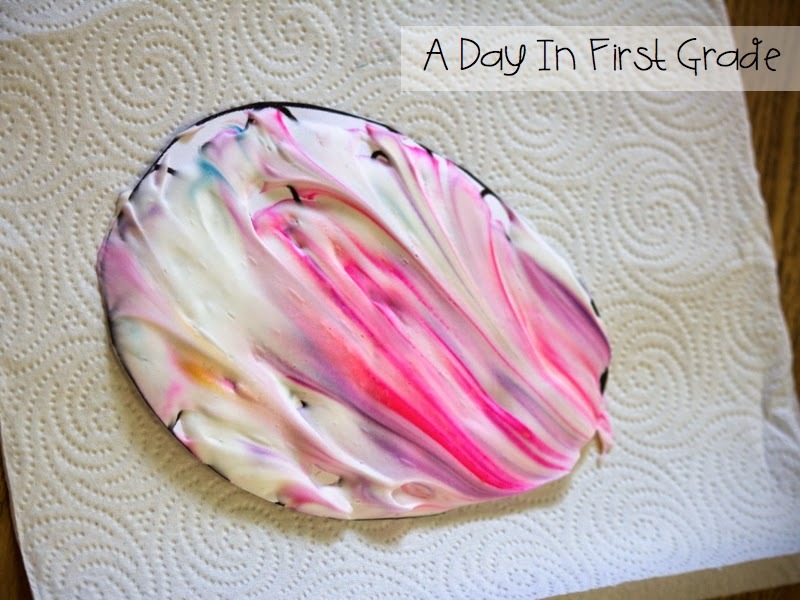 Another FUN Easter craft is making tie dyed Easter eggs. I warn you in advance, this one is a bit messy but so pretty and fun! 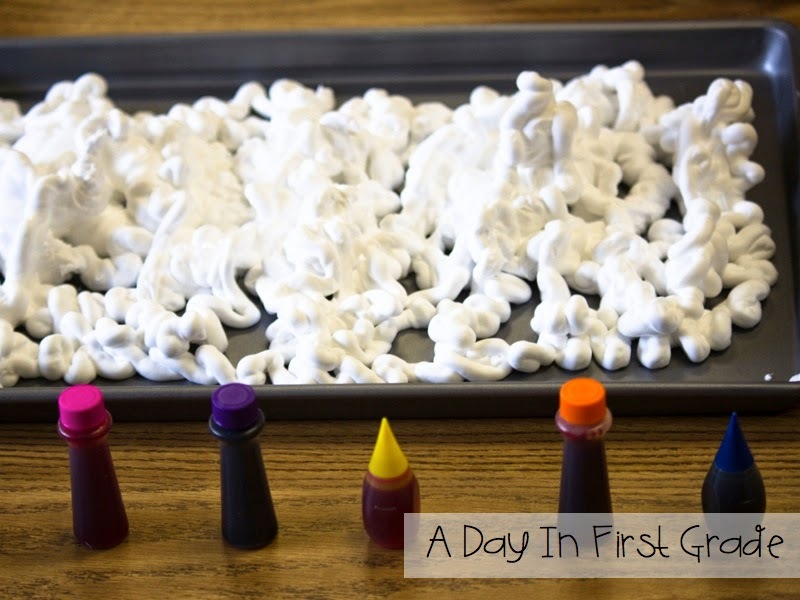 I spray a BUNCH of shaving cream on my baking pan and let each student choose two colors of food coloring. They add around 3 dots of each color to the shaving cream. 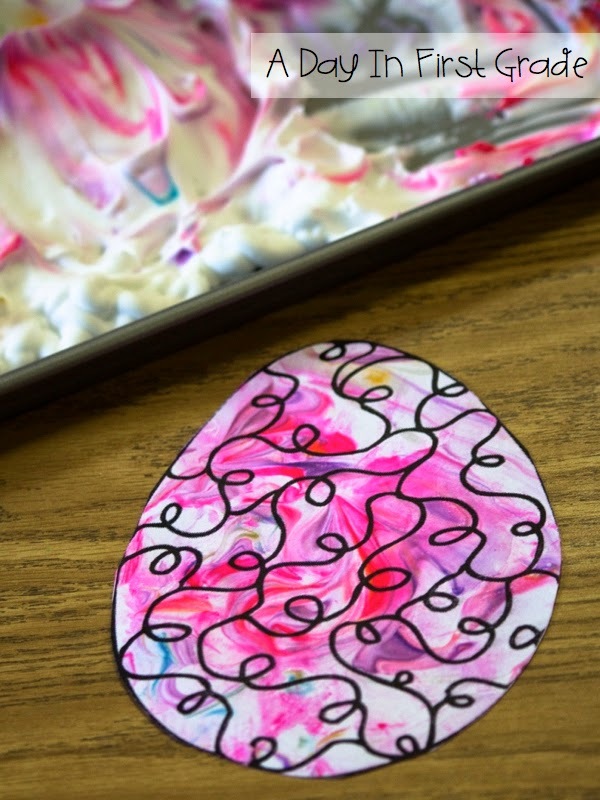 Then, using the popsicle stick, they swirl the colors and place their Easter egg on top of the swirl of color. When you lift it up, it will look like this. 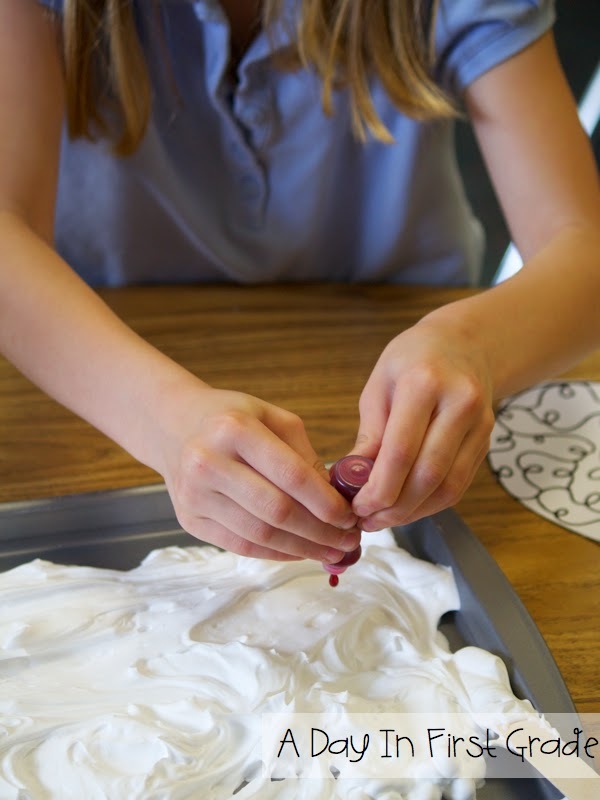 Wipe off the excess shaving cream using multiple paper towels and you will be amazed! Each egg comes out so different and awesome! As a tip, try to encourage your students to use a light color and a dark color. (or colors that mix well!) When you mix the food coloring, if you have used two colors that do not mix well, it makes the egg look like mush… and we don’t want that! My students love the music so much, I bought a BUNCH of their CDs and we listen to them all the time. I am SO excited to tell you that they are allowing me to give away one of their CDs to one of YOU! I promise you, you will LOVE their music. For your chance to win the CD (of your choice), simply enter in this rafflecopter!! 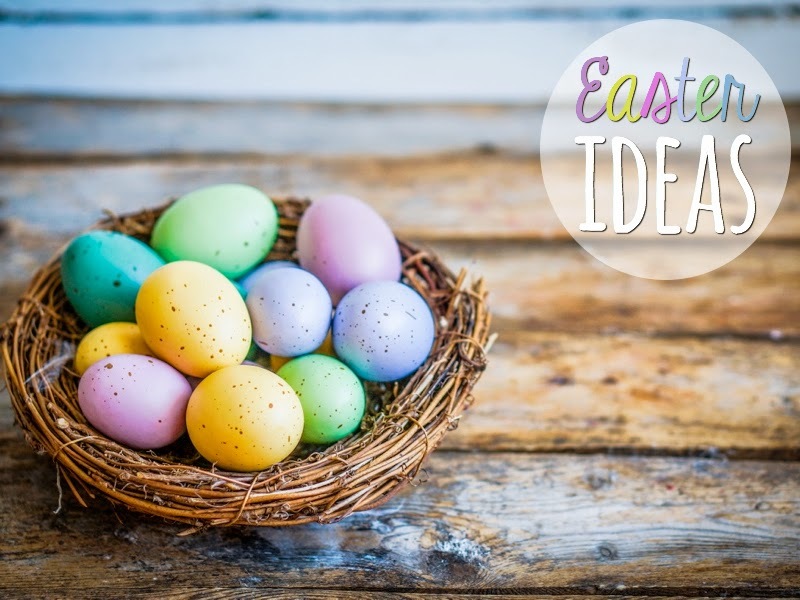 I hope you can use some of these Easter ideas and that you are having a great week!! Isn’t it a blessing to get to share te true meaning of Easter with our students?? I love the music. I haven’t heard of them before. My kids this year love to sing and worship. I play songs during our bathroom break . . . you know that time when you are suppose to be quiet. We sing and it is the sweetest sound you will hear. It has really made a difference in our bathroom break. I will have to add some of these to our playlist. My kids would love all of these songs. Thanks for sharing. 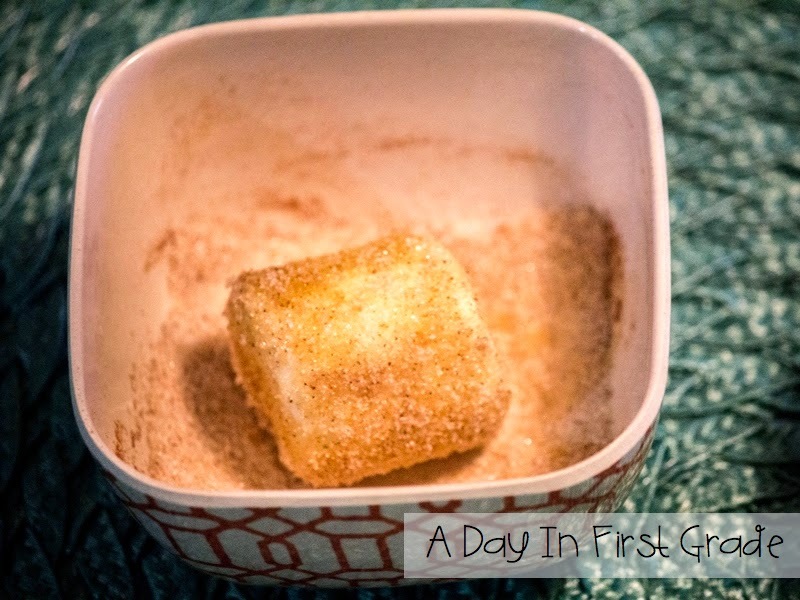 I think I just may have to cook up a surprise for my kiddos on Thursday. Thanks again. We love Go Fish, but currently are listening to Seeds of Faith. Great collection of Seeds CD’s if you’ve never heard them. Website has many awesome activities too!! I love the Go Fish Guys 🙂 I also love your Easter Egg craft…I may have to add that to my growing list of things to do this week! Love the ideas, will be using them for sure! Going to have go looking for a cute Easter egg template! Thanks for sharing. Go Fish Snazzy is one of our favorites, but we also like Old School….fun with old hymns! Thanks so much for the Eastery ideas…wish I could do those resurrection rolls with my students. Enjoy the rest of your week, Kristen, and have an very blessed Easter weekend! I would love these cds to use with my own children at home. I love songs that get them excited about god and jesus. Thanks for having this give away. This is an awesome post! I love your new ideas. 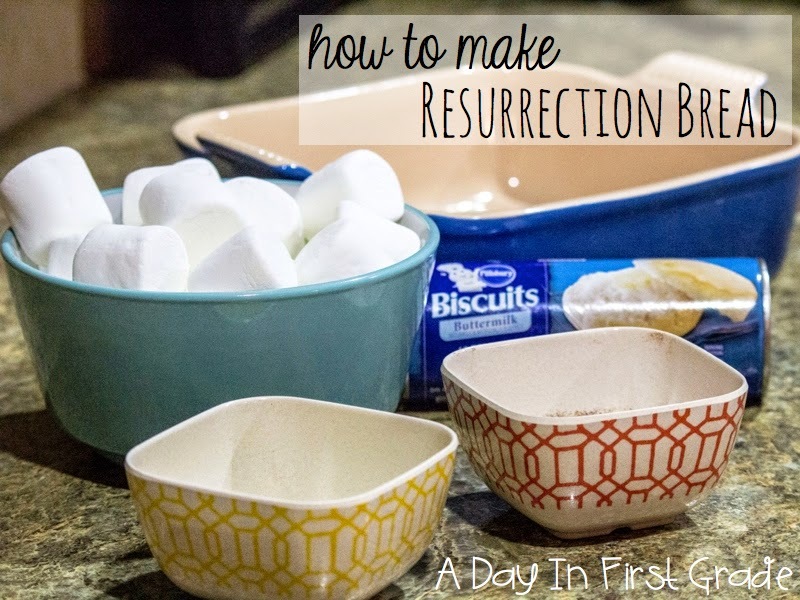 I’ve done resurrection eggs before- but I love the edible activity. I’m forwarding your post to our children’s pastor- hopefully we can use some of the activities at our church! Carol cpolston3@yahoo.com PS- never heard of this band- but I listened and loved their song! I am totally doing resurrection rolls with my boys this weekend. Thanks for sharing. I love all of your ideas – beyond creative! I also love the Superstar CD. I love the Resurrection Bread and the beautiful Easter eggs you all made! I am so glad I subscribe to your post via email because I love reading your posts. I miss teaching in a Christian school and sharing Jesus! Thank you so much for the giveaway! I teach at a catholic school and am always looking for new ideas to implement! My favorite CD is the Kids Music one! I love your Easter post. I too teach first grade at a private Christian school, and I use the resurrection eggs to tell the story of Easter. Every year, I scramble to try to remember which eggs to use in order before I teach the resurrection story. After reading your post, I had a “duh” moment. I will now be putting number dots on my eggs so the student that opens it knows when it is their turn! 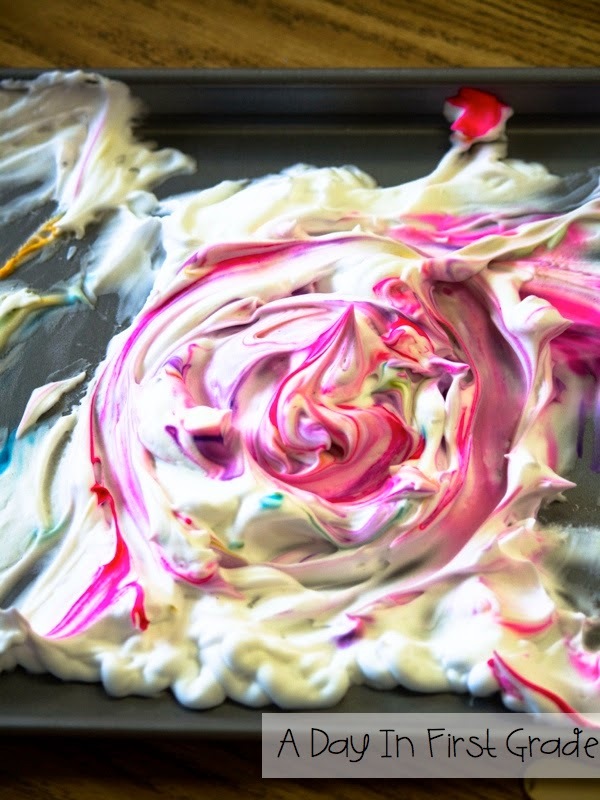 I also love the Easter egg shaving cream idea! My kids would eat that up!